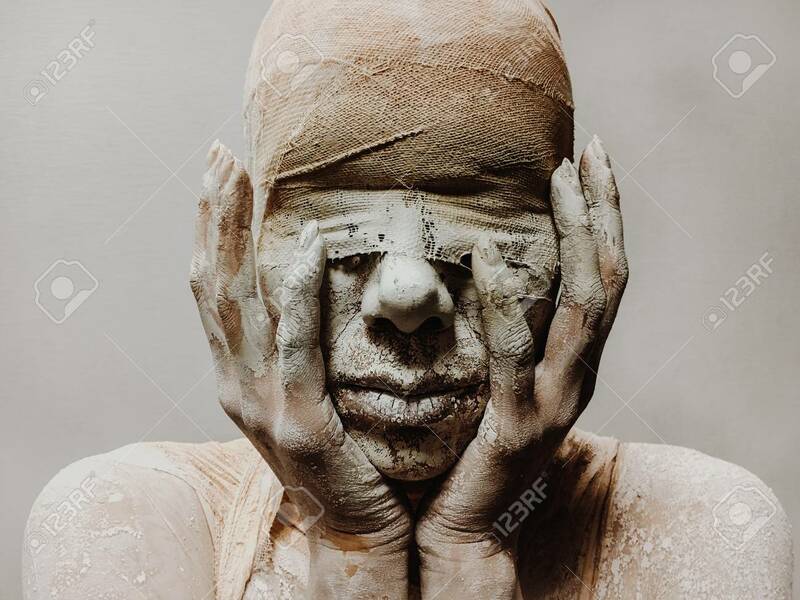 In Makeup, A Woman In Bandages And Clay Is Like A Mummy Without Eyes On A Monophonic Background. Halloween Theme Lizenzfreie Fotos, Bilder Und Stock Fotografie. Image 92984684.